We have some electrifying news in the world of small SUVs with Blue Oval badges. 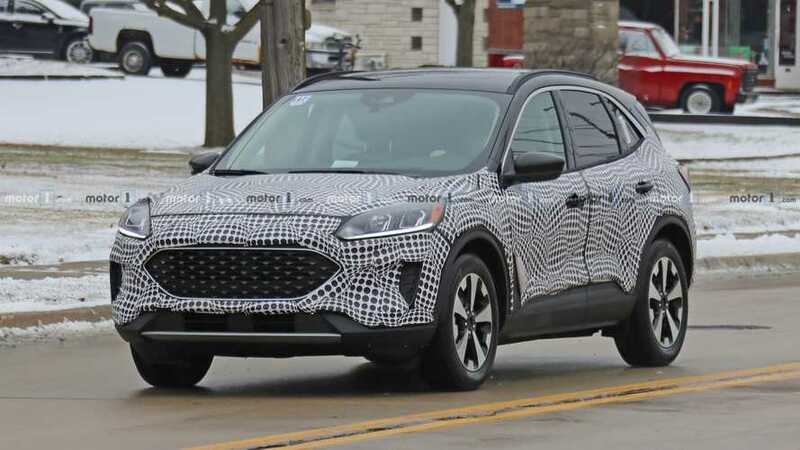 Spy photographers caught another 2020 Ford Kuga testing on the street, and it was only wearing thin camo wrap on the outside. The roof, beltline, and side pillars are fully visible, as are the lower rockers on the sides and the rear fascia. Up front, the grille and headlights are exposed, showing what could be the happiest little SUV on the planet. There is something different about this test vehicle, however. There are no obvious signs on the outside, but this Kuga, also known as the Escape in North America, is actually a hybrid. 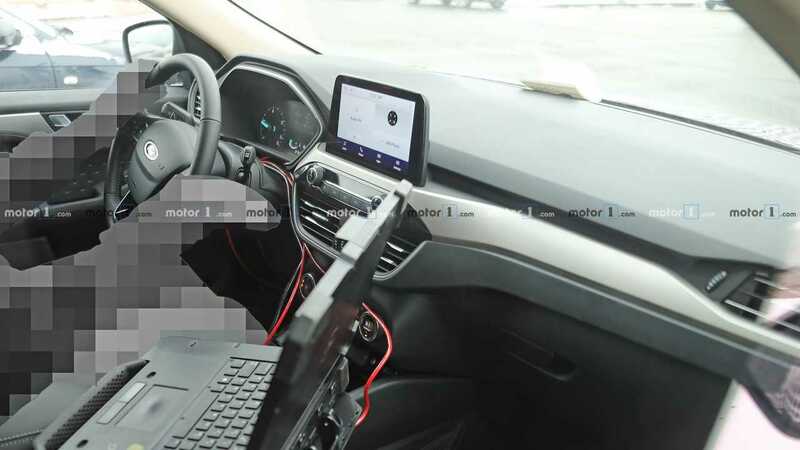 Our daring photographer managed to get up close for a few quick photos of the interior, and the kilowatt gauge is a dead giveaway. We’ve expected the hybrid model’s return for some time now, but this close-up look is our first confirmation that it actually exists. Details of the system aren’t yet known, though it's believed a standard hybrid and plug-in model will eventually be offered. The new Kuga should supplement the hybrid powertrain with a pair of petrol and diesel engines, namely Ford’s small EcoBoost 1.5-litre and the familiar 2.0-litre Duratorq diesel four-cylinders. Here in Europe, these engines should be good for 180 bhp while the 2.0-litre four found in the North American Escape makes 245 bhp. Both mills are expected to use a new nine-speed automatic gearbox. This look inside as well as the visible shapes outside show considerable resemblance to the Focus Active estate, a vehicle that was once slated to reach the U.S. but has since been dropped along with the standard Focus. The new Kuga will attempt to fill the void in the compact segment, and it should debut later this year as a 2020 model.